As our Sr QA Engineer, you will be defining strategies for testing new features and functionality while improving our quality. Your role will directly impact the positive customer service experience we insist our clients have. 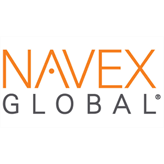 Design and develop automated and manual test cases for NAVEX Global’s industry leading compliance solution. Execute automated and automated manual test suites in support of iterative development schedules. Provide early feedback on new features via requirements and software inspection. Document, review, and validate corrections for customer reported defects and feature requests. Communicate progress, risks and test coverage effectively. Collaborate with the (client) Services team to determine the severity and priority of customer reported issues. Investigate, analyze and make recommendations to management regarding technology improvements, upgrades and modifications regarding the application development process. A bachelor’s degree in computer science or similar technical discipline. 5+ years of experience in testing web-based, n-tier systems. 5+ years of experience in designing and implementing automated test suites for web-based applications. Problem solving skills with an excellent work ethic and strong customer service oriented attitude. Capabilities of working independently, self-motivated and dependable, reliable and highly accountable. Experience working with application development tools, such as version control, defect tracking, build management and test management. Knowledge of the following tools and technologies: Selenium, C#, Webservices/APIs , Visual Studio, SQL Server, Web Vulnerability testing, Application Performance testing.